Death/doom unit PULCHRA MORTE — featuring current and former members of Wolvhammer, Eulogy, Harkonin, Withered, and more — has unleashed a guitar playthrough for “IX.” The tune comes by way of the band’s Divina Autem Et Aniles full-length, released earlier this year via Ceremonial Records. Recorded by PULCHRA MORTE guitarist/producer/engineer Jarrett Pritchard (1349, Goatwhore, Wolvhammer, Gruesome, Exhumed, Brutality, etc.) at his own New Constellation Studios and mastered by Chris Common (Tribulation, Primordial, Exhumed, Gruesome), Divina Autem Et Aniles includes the vocal talents of Heather Dykstra (ex-Eulogy) and cellist Naarah Strokosch as well as additional backing vocals by Tor Stavenes, (AKA Seidemann of 1349 and Svart Lotus) and the striking cover art of Jordan Barlow (Goatwhore, Haarp, Psychon Vex). Visit the PULCHRA MORTE YouTube channel to view some gear talk and the “IX” guitar playthrough as well as the band’s previously released videos for “Thrown To The Wolves” and “Soulstench” at THIS LOCATION. Divina Autem Et Aniles is out now on CD and digitally via Ceremonial Records. For orders visit the PULCHRA MORTE Bandcamp page at THIS LOCATION. 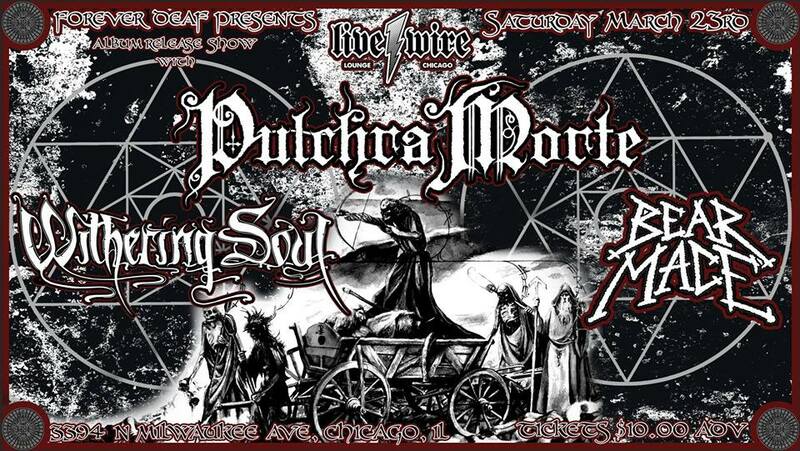 PULCHRA MORTE will make two rare live appearances this weekend, including a record release show at Chicago’s Livewire with Withering Soul and Bear Mace. The band will return to Chicago in June for a performance with Inter Arma and Thantifaxath with additional dates to be announced in the weeks to come. 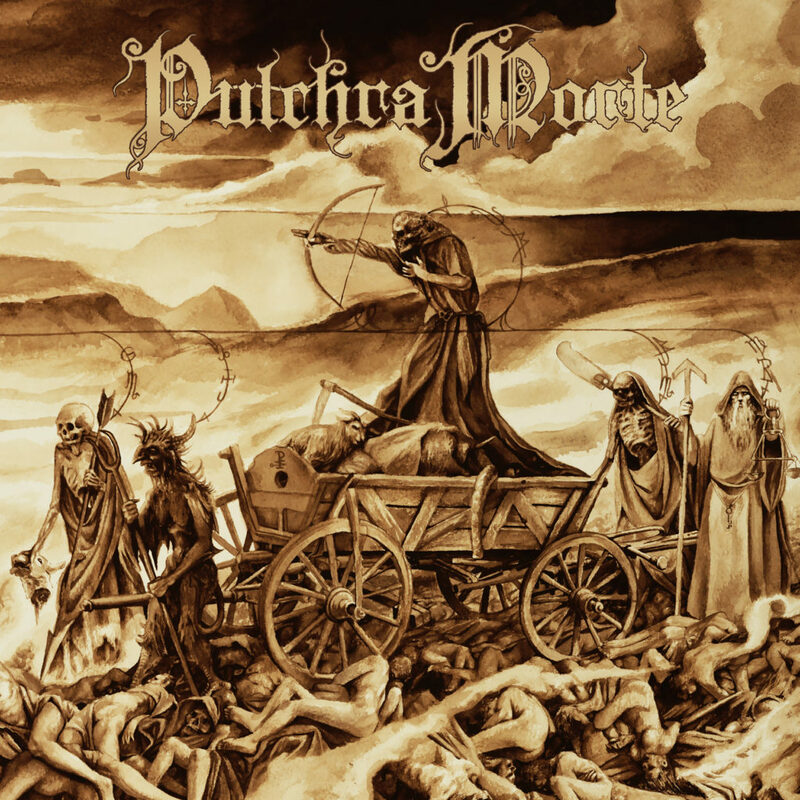 Founded by drummer/backing vocalist Clayton Gore and vocalist Jason Barron (ex-Harkonin), with guitarist Jeffrey Breden in 2017, PULCHRA MORTE began with the intention of recapturing the purpose of greats from the late-‘80s through early-‘90s doom-laden death metal scene; an era when feeling superseded technicality. During this composing process, Gore contacted long-time friend, producer/engineer Jarrett Pritchard, the two having enjoyed a thirty-year friendship and collaboration from the days of seminal Tampa, Florida-based death metal band Eulogy. The recording of Divina Autem Et Aniles was completed with Pritchard taking on bass and auxiliary guitar duties as well as producing and engineering the album. 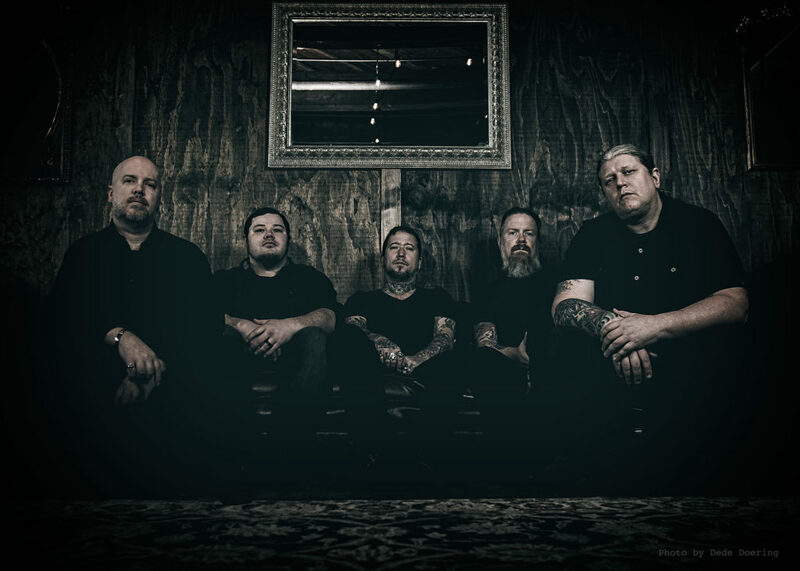 Full rehearsals took place in Chicago over the summer of 2018, where Dylan Kilgore of Withered was recruited to play bass while Pritchard moved to full-time guitar. From these sessions a proper video for first single “Soulstench” was generated. In its wake, PULCHRA MORTE unleashed a limited edition seven-inch of “Soulstench” with a beautiful tribute to Paradise Lost — a cover of Gothic classic “The Painless” — occupying its B-side as an exclusive. Stream it at THIS LOCATION.